3 Is Hydroxycut Max an Effective Weight Loss Formula? Hydroxycut Max is a leading weight loss supplement for men. Not only does it include the usual complement of fat burners and appetite suppressants, but the supplement also includes herbs and micronutrients well suited to maintaining the female body. In addition, Hydroxycut Max is one of the few weight loss supplements that has actually been found effective in multiple clinical trials. But how do these advantages perform in actual users? Read on to find out. 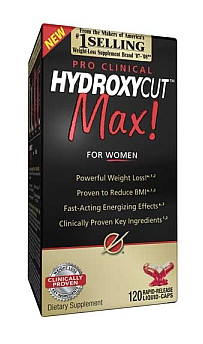 Pro Clinical Hydroxycut Max is a weight loss formula for women. It is meant to complement diet and exercise plan, and it is marketed at female athletes and figure models. However, any woman who would like to lose some weight and achieve a shapely figure is welcome to try this formula. Hydroxycut Max is uniquely formulated to cater for the health needs of active women even while it promotes weight loss. Some of its active ingredients are included specifically to support women’s health so that the process of weight loss does not disrupt the fragile hormonal and nutritional balance of females. Although it is supplied in capsule form, Hydroxycut Max is actually a liquid-cap dosage form. This means that the active ingredients are suspended in a liquid matrix. This dosage form allows for rapid release of the active ingredients from the capsules and also improves their absorption in the body. Hydroxycut Max is formulated with 4 groups of active ingredients. The first group provides support, and it includes iron, calcium, folic acid and vitamin C.
Caffeine makes up the second group of active ingredients. It is a stimulant and the primary energy boost in Hydroxycut Max. The third group of active ingredients are herbs and they are collectively referred to as ProDefine. This proprietary formulation includes the leaf extracts of Alchemilla vulgaris, Olea europaea and Mentha longifolia as well as the seed extract of Cuminum cyminum. The ProDefine active ingredients (along with caffeine) are responsible for the weight loss results of Hydroxycut Max. The last group of active ingredients are referred to as Hydroxagen. They are micronutrients that make up the liquid matrix in which the rest of the active ingredients are suspended. These micronutrients include oleic acid, glutathione, Coenzyme Q10, L-alanine, L-threonine, L-isoleucine, L-serine and L-glutamic acid HCl. The inactive ingredients of Hydroxycut Max include sesame oil, capsule (gelatin, FD&C Red No. 40), tricalcium phosphate, calcium carbonate, caramel color, gelatin and polysorbate 80. Hydroxycut Max is only recommended for healthy female adults. It should not be used by pregnant or lactating women or girls younger than 18 years. Because it contains stimulants and other bioactive agents, you should consult your doctor before taking it if you are already placed on some medications. New users are advised to take 1 capsule of Hydroxycut Max two times daily and 30 minutes before meals. After the first 2 days and only when tolerance is established, the dosage can be increased to 2 capsules two times daily. The maximum allowed dose of Hydroxycut Max is 6 capsules per day and no more than 4 capsules in any 4-hour window. In addition, this supplement should not be taken within 5 hours of bedtime since it contains stimulants. Make sure to drink a lot of water while taking this weight loss supplement since it does contain diuretics. Supplementation with Hydroxycut Max should take at least 8 – 12 weeks before its results can be fully accessed. The best result is achieved by combining the supplement with weight loss diet and exercise plans. Vitamin C is an essential micronutrient and a very popular vitamin. Also known as ascorbic acid, vitamin C is one of the most important antioxidants found in nature. In Hydroxycut Max, vitamin C provides nutritional support for the exercise and dieting plan needed to effect weight loss. It provides antioxidant protection for the body by mopping up the harmful free radicals that can damage cells and tissues. In addition, vitamin C boosts immunity. Coupled with the antioxidant protection, this vitamin can help support the body through the dramatic changes of weight loss. Lastly and just as important is the role of vitamin C in healing. It is a required cofactor for the enzymes involved in collagen synthesis. Since collagen is the protein used to make the skin, hair and nails, vitamin C can also provide cosmetic improvement to the female body as well as support weight loss. Its wound-healing benefit can also help the body repair itself as it undergoes the rigors of weight loss exercises. Folic acid is another vitamin and essential nutrient in the body. It is also known as vitamin B9. Folic acid has numerous roles in the body. It is required for DNA synthesis, repair and use. It is required for cell division and growth. And it is required for the production of red blood cells. Folic acid is an essential nutrient in everyone but especially for women. This is because it can help prevent anemia along with iron. Folic acid can also help support cardiovascular health by reducing the levels of homocysteine in the body. The chief role of calcium in the body is in increasing bone density and maintaining strong bones. This is the reason this essential nutrient is added in Hydroxycut Max. Calcium is especially important to women as they age. This is because their bones tend to demineralize. Since 99% of the calcium present in the human body is stored in the bones and teeth, calcium supplementation is important to maintain bone health. By including calcium in Hydroxycut Max, this weight loss formula helps protect the bones and joints from the wear of exercises. Iron is an essential trace element that is tightly regulated in the body. However, women lose more of their iron stores than men when they menstruate. Therefore, they need regular iron supplementation. Iron binds to proteins in the body. Perhaps the most important groups of proteins that bind to iron in the body are the heme proteins. Examples of these include hemoglobin and the enzyme, cytochrome P450. Since the hemoglobin is the oxygen-carrying component of red blood cells, the iron in Hydroxycut Max increases the oxygen-carrying capacity of the blood even while preventing anemia. This provides the support needed to develop strength and endurance from weight loss exercises. Caffeine is the chief thermogenic agent in Hydroxycut Max. 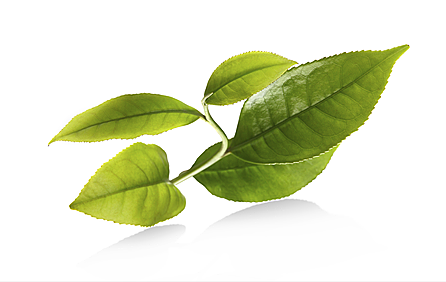 This xanthine alkaloid is widely found in nature from green tea leaves to coffee seeds. It is the most commonly consumed stimulant and it has multiple weight loss benefits. To promote weight loss, caffeine increases the activities of excitatory neurotransmitters in the brain. It does this by blocking adenosine, an inhibitory neurotransmitter. Therefore, caffeine allows the brain to signal increased muscular activities which can help burn stored fat. However, caffeine has an even more direct effect on stored fat. It shifts the body’s preferred energy source during fasting state from glycogen to stored fat. Therefore, instead of breaking down stored glycogen to generate more glucose, caffeine encourages the body to simply burn stored fat. There are advantages to this effect. For one, caffeine reduces the amount of glucose released in the body. Therefore, it can help reduce blood glucose levels. In addition, caffeine satisfies the body’s immediate energy need by offering up stored fat for energy production. In this way, it improves satiety and reduces the need to eat more calories. Lastly, caffeine is a diuretic. This means that it prevents the retention of water in the body by increasing urine volume. By doing this, caffeine can significantly reduce the proportion of the body’s weight due to water. Alchemilla vulgaris belongs to a large plant family whose members are generically known as lady’s mantle. It is used in alternative medicine to treat stomach upsets, diarrhea, edema, inflammation and muscle spasms. Women also use this herb to reduce the symptoms of painful, heavy menstruation and to manage the presentations of menopause. Therefore, alchemilla is a vastly useful herb for women. In addition, it can help reduce water weight since it has diuretic effects. Its analgesic effects can also reduce the pain and fatigue experienced during exercising. Olea europaea is also known as wild olive. The extract of this herb included in Hydroxycut Max is taken from the leaves of olive tree. Olive leaf extract is used for treating infections. It possesses antibacterial and antiviral activities. However, its inclusion in Hydroxycut Max is to reduce chronic fatigue and possibly to prevent infections as the physical stress of weight loss exercise affects the immune system. Mentha longifolia is also known as English horsemint or wild mint. The leaf extract is included in Hydroxycut Max. It has antispasmodic properties and is also a stimulant. Therefore, horsemint can serve as a thermogenic agent and promote fat loss. Cuminum cyminum is also known as cumin. The seed has both culinary and medicinal properties. Cumin is a spice in different cultures. 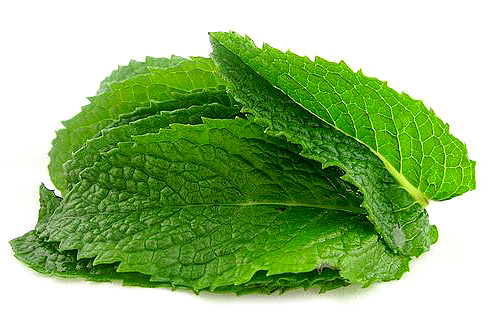 As an herb, it is used to treat gastrointestinal problems including diarrhea, gas, colic and bowel spasms. However, its inclusion in Hydroxycut Max is for its diuretic properties. Cumin can therefore help Hydroxycut Max users lose water weight. Oleic acid is a monounsaturated omega-9 fatty acid. 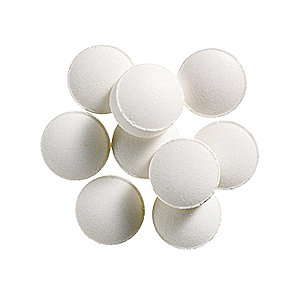 It is used as an excipient in pharmaceutical preparations. Therefore, oleic acid serves as a solubilizing agent in Hydroxycut Max. However, oleic acid is not without some health benefits. It is known to lower blood pressure. 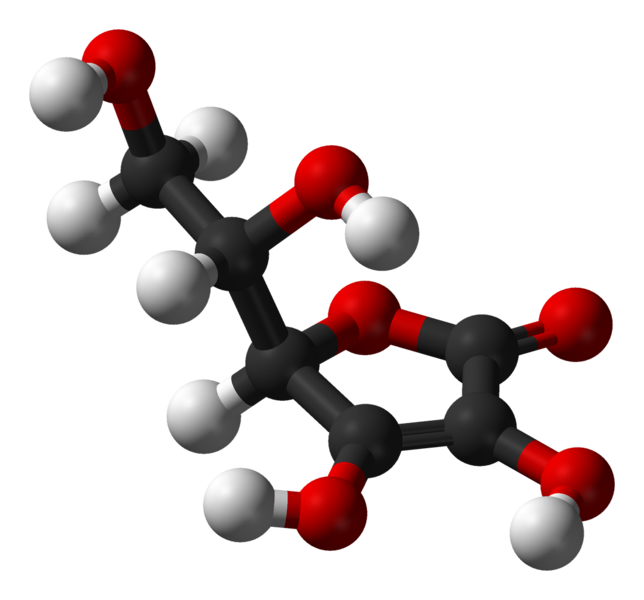 Glutathione is a tripeptide and an important antioxidant in humans. Therefore, glutathione can help protect cells from damage caused by free radicals. In addition, glutathione prevents muscle wasting by promoting positive nitrogen balance in the body. Coenzyme Q10 is an important molecule in the body. It is responsible for electron transport in cells and also serves as an antioxidant. In Hydroxycut Max, the coenzyme Q10 can help maintain cardiovascular health. It does this by mopping up the free radicals production form the oxidation of LDL cholesterol. Coenzyme Q10 can also reduce blood pressure. L-alanine is one of the 20 essential amino acids and it is the second most common amino acid after leucine. L-threonine and L-isoleucine are both essential, alpha amino acids. 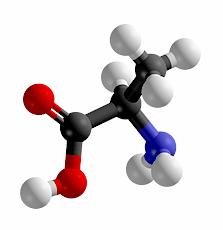 L-glutamic acid is, however, a non-essential amino acid but it is used in the production of glutamate, an important neurotransmitter involved in learning and memory. L-serine is another non-essential amino acid. It is a catalyst to a number of enzymes in the body. It is even used in the production of protein enzymes such as trypsin and chymotrypsin. All of these amino acids are referred to as proteinogenic amino acids. This means that they are used in the syntheses of different proteins in the body. Therefore, their inclusion in Hydroxycut Max is to support the main ingredients and to keep the body functioning effectively. Is Hydroxycut Max an Effective Weight Loss Formula? On the product website, the manufacturer published claims from two studies that compared the weight loss results of Hydroxycut Max with placebo. In one study, two groups of volunteers were placed on low calorie diets and one group got the herbs in Hydroxycut Max ProDefine blend while the other group received only placebo. The result of the 12-week study showed that the Hydroxycut Max group lost about 21 lbs. on average while the placebo group lost 1.7 lbs. on average. A similarly designed 8-week study also produced similar results. Here, the Hydroxycut Max group lost 16.5 lbs. on average while the placebo group lost 1.73 lbs. In both studies, the Hydroxycut Max groups also experienced greater reduction in BMI (body mass index) than the placebo groups. These results showed that dieting produced much better weight loss results when combined with Hydroxycut Max. Overall, Hydroxycut Max has a strong approval rating among users. Most women confirm its fat-burning effect, and its proprietary blend of active ingredients seems like the right combination. The fact that Hydroxycut Max contains about as many weight loss ingredients as ingredients to support women’s health is a big strength of the formulation. In addition, Hydroxycut Max is one of the few weight loss supplements that have been investigated for efficacy in clinical trials. In this case, multiple clinical trials. Usually, it is the individual active ingredients of weight loss supplements that are subjects of clinical studies. Most manufacturers then combine herbs and micronutrients with proven efficacies in their weight loss supplements. With Hydroxycut Max, the blend of weight loss herbs used has been tested and found effective. Therefore, for women, Hydroxycut Max ranks very high on the list of weight loss supplements to choose from.